A decade ago, in the wake of The Global Financial Crisis when economies crashed and global trade and commerce lost its worth, a dramatic change began to take shape. A veil had been lifted. A shift, slow at first and then gaining momentum. What we all valued and prioritised began to change. Ten years on, the companies which value sustainability and community over bottom line profits are the ones who have us reaching into our pockets. We value quality over quantity. We value experiences over material goods. We value good food, made from fresh, wholesome ingredients. And we value flexibility in our lives so we can spend the most important part of our day – the evening meal, with those we care about. How ironic then, that amidst all this change we choose to return to the traditions that make us appreciate small moments. Those rites and rituals which make us feel good about ourselves, that give us pleasure. And there’s nothing more pleasurable than breaking bread and sharing a meal. At the centre of this positive change are companies like Ethica Wines. 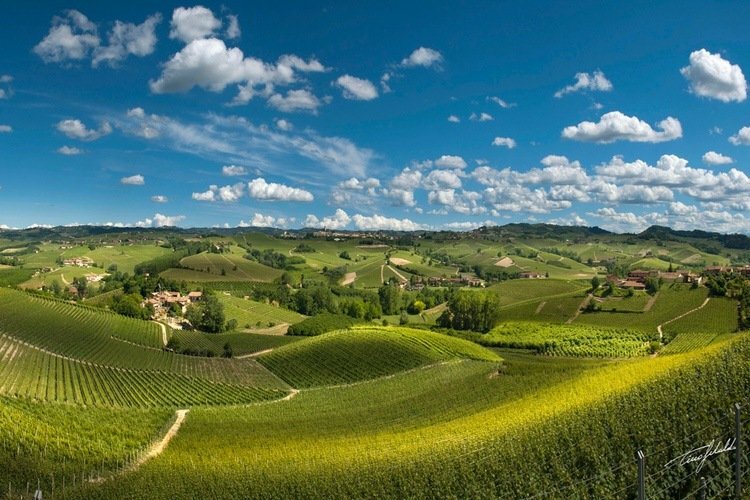 With a “100% Italian heart” this company represents small-production, high-quality winemakers from regions all over Italy, introducing the world to wine that is made with passion, with tradition and with innovation. They come from those who were born and raised in the vineyard. Who, from their youth, have lived and breathed learning how to smell, taste and pair with food. And now they bring their love and pride for what they have made to Asia. Ethica Wines looks after its producers. Their motto: Earth, Heart, Hands, hits home all those things we now seek to value: environmental sustainability and caring for our Earth, crafting items with care and skill, and living life with heart – with a passion for what we do and for those around us. To showcase Ethica Wine’s ethos and top-notch Italian drops, Kuala Lumpur’s Hilton Graze restaurant is working with Michelin star Italian chef Renzo dal Farra and his son Damiano, to create a sumptuous six-course degustation feast (RM350 Nett per person). What better way for some of Italy’s best winemakers to share their passion and values than through an Italian chef who shares these same ideals? Chef Renzo dal Farra grew up underfoot in his parent’s kitchen. As a child, his family owned an Inn in Cornei, Belluno, his mother working the kitchen while his father ran the bar and uncle operated the small farm and vineyard attached. Cooking is not only in his blood but is a family tradition and one he has passed down to his own son Domiano, who is working alongside his father in the Hilton Graze kitchen tonight. 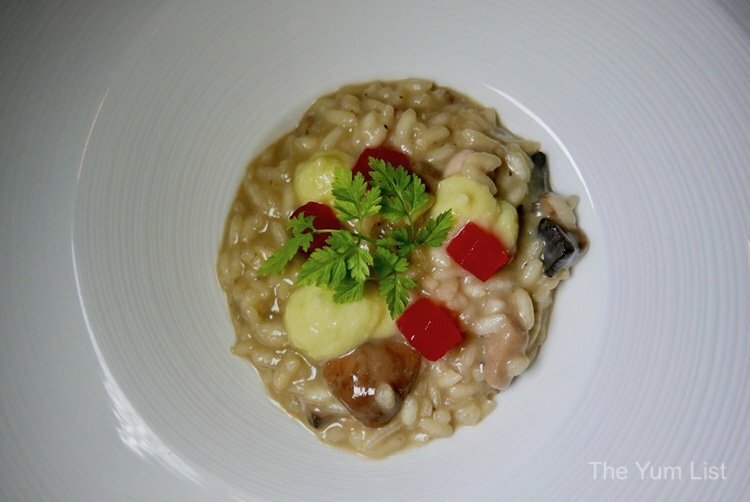 Fittingly, Renzo founded his own restaurant: Locanda San Lorenzo in the same province of Belluno, a stone’s throw from his original family inn. Earning a Michelin star in 1997, his restaurant cellar houses an incredible 800 bottles of Italian and imported wine. For him, the wine pairing is as important as all his other ingredients. Softly spoken, Renzo greets his guests at Graze. In his gentle Italian translated by Ethica Wines spokesperson (and Italian wine expert) Vera Malisani, he introduces his son, Damiano, pausing to emphasise the heartfelt hospitality extended by him and his family to strangers across the globe. His intention: to share traditional Italian food and wine in the form of a family meal with us all. Such a European mindset is closely aligned with Graze restaurant’s philosophy. Freshly redecorated with black and white shots of Europe adorning is warmly lit walls, it has a welcoming ambience. The focus for Chef Darius Seitfudem is unpretentious and authentic modern European fare with a focus on fine dining quality, pure flavours and fresh seasonal ingredients. The first wine sets the tone for the evening. 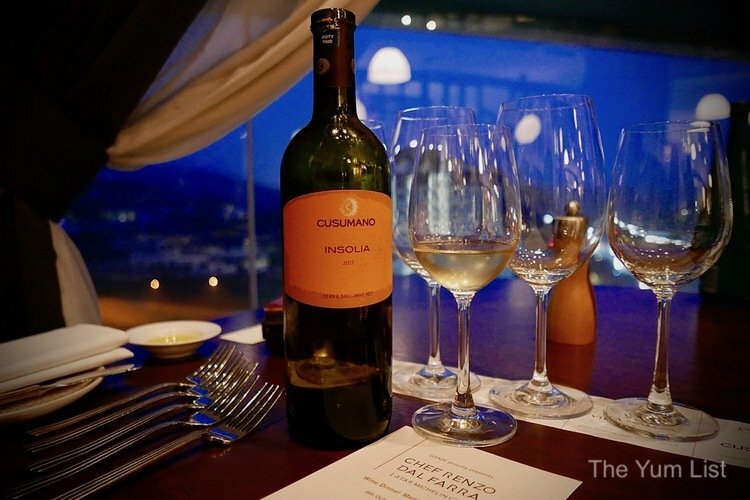 The 2017 Cusamano Insolia is round and full-bodied, curving around the tongue with its buttery weight. Atypical from classic light and fruity whites, this stands apart with long tannins – highly unusual for a white. Balanced acidity and a faint citrus aftertaste make for a greater character and intensity. The Inzolia grapes are grown at slightly cooler higher climes of 300-800m altitude in the Terre Siciliane Indicazione Geografica Tipica (IGT), and the Cusamano estate specialises in blending newer technological advancements with old traditions in their viticulture. Our first meal is equally startling and impressive. 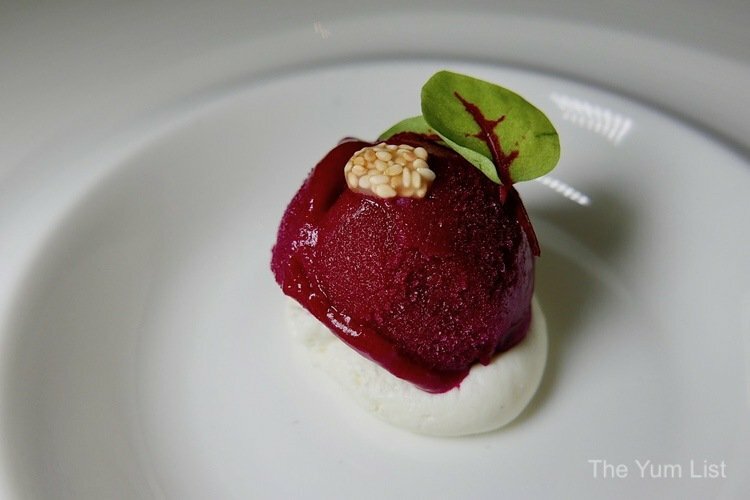 A single scoop of beetroot ice cream sits on top of a disk of creamy smoked robiola cheese, heavy on goat’s milk. The pungently sweet beetroot is heightened by a touch of spicy horseradish, balancing the sour cheese. A sprinkle of sesame lends a nutty tone bringing out undiscovered similar flavours in the wine and lengthening the tannins. Cold, creamy and crunchy, it is a remarkable mix of textures. Our second white is the 2017 Villa Sparina Gavi Denominazione di Origine Controllata e Garantita (DOCG – a designation of the highest level of quality in Italy). With a distinctive grainy, wheat-like aroma, this white is lighter in colour, texture and flavour than the Insolia. Lemon citrus is layered with strong yeast and minerally sand tones. 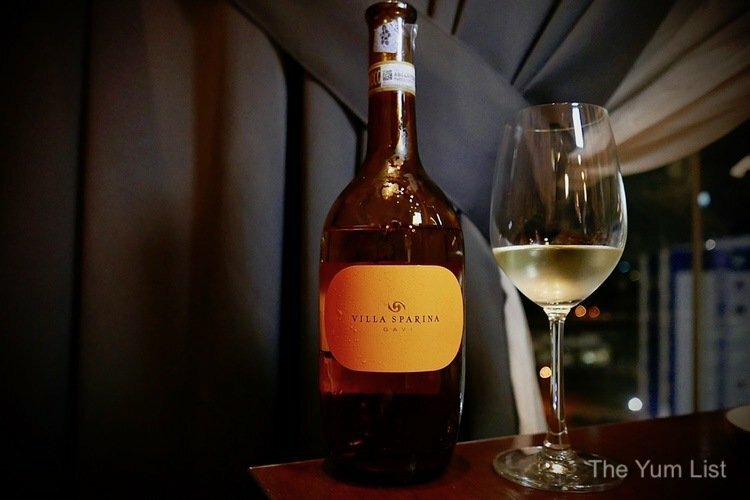 The Villa Sparina vineyard sources their Cortese grapes solely from in-house reduced-yield vines for higher quality, with fermentation, blending and bottling also handled on-site. Harvesting is delayed to give a greater concentration of flavour and balance. 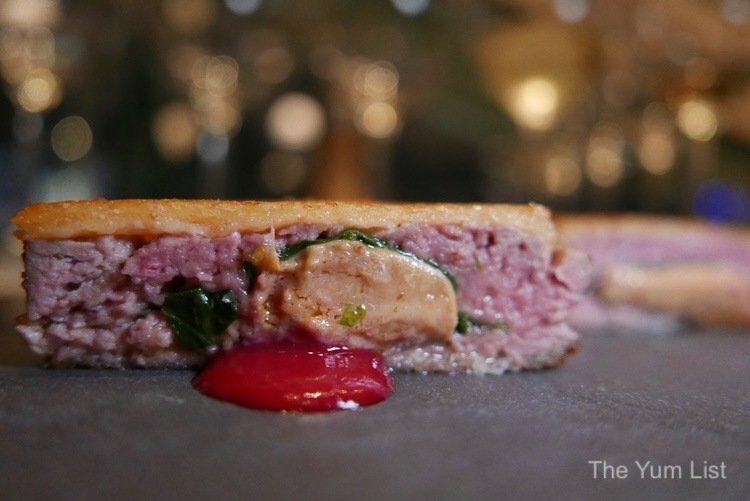 To accompany, Chef Renzo and his team have prepared a duck sandwich in the Rossini style, utilising both choice, plump duck breast meat and a thick layer of salty, lavish foie gras. The smokey duck is served between thin layers of bread along with baby spinach, salad greens, fresh berries and a spoonful of sweet tangy raspberry and tomato sauce. The meal is deceptive, innocuous and simple in appearance, yet complex by design. Again it is a play on texture, the silken foie gras offset by supple breast meat, with a crispy crunch of buttered and fried fresh bread. The commencement of the first main course is the ideal time to switch from whites to red, as the more full-bodied robust flavours pair well with heavier meats and rich sauces. 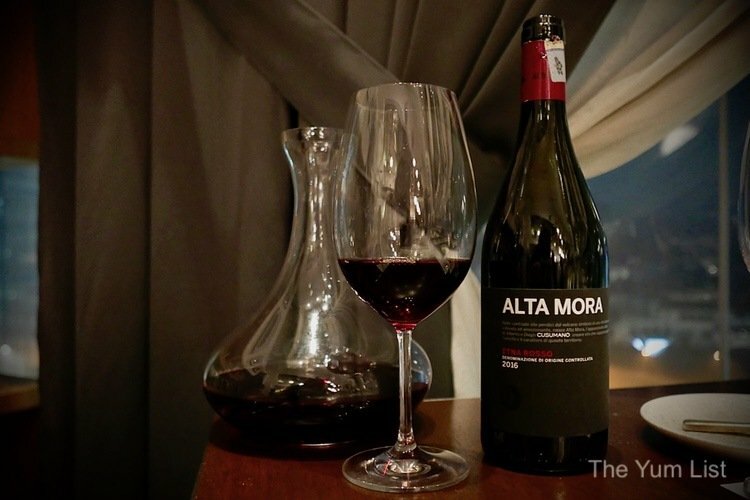 A glass of the 2016 Alta Mora Etna Rosso is the perfect transitional wine. Light ruby red in colour and with a fragrant nose, the first sip speaks to pepper woven through with cherry and blueberry. With swilling, the tannins build and woody oak reveals itself, leading to a lasting dry finish of toasted bread. Fermented from the dark-skinned Nerello Mascalese grape, this is an utterly pleasant red, similar to a Sangiovese, and sitting somewhere between a lighter and more subtle pinot noir, and a fruitier, sweeter merlot. The uber-fertile volcanic soils of Mt Etna and its altitudes of 600-800m allow for an uncanny mix of robust, stronger flavoured grapes and cool alpine temperatures to halt growth, allowing the vines to rest. A well-portioned bowl of oyster and porcini mushroom risotto is an accompaniment I didn’t realise I was craving until the smell wafted under my nose. Layered with lashings of butter and Italian fennel the dish has an astonishing burst of lemongrass and is topped with cubes of marinated watermelon. 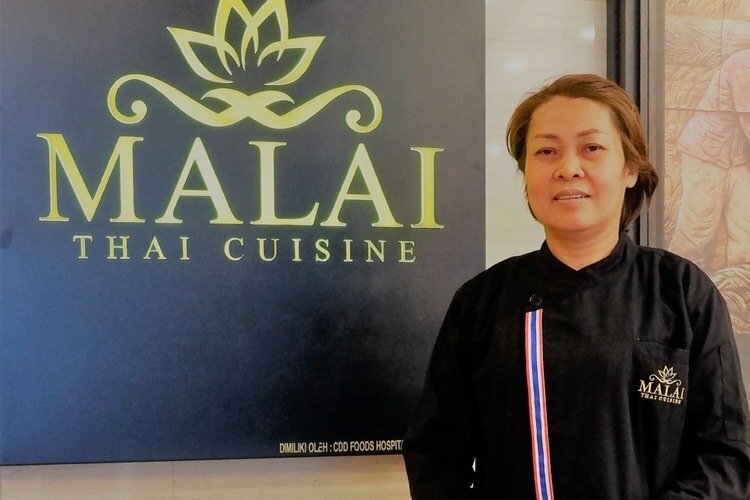 A true fusion of Asian and Italian cuisines. The bursting crunch of the watermelon is juxtaposed with creamy satisfying risotto, and Southeast Asia’s combination of sweet, savoury, salty and spiced flavours make their presence known in this honest Italian meal. This blending of tastes brings forth herbs and sweet balsamic in the Alta Mora wine, emboldening the fruits and reducing the tannins. 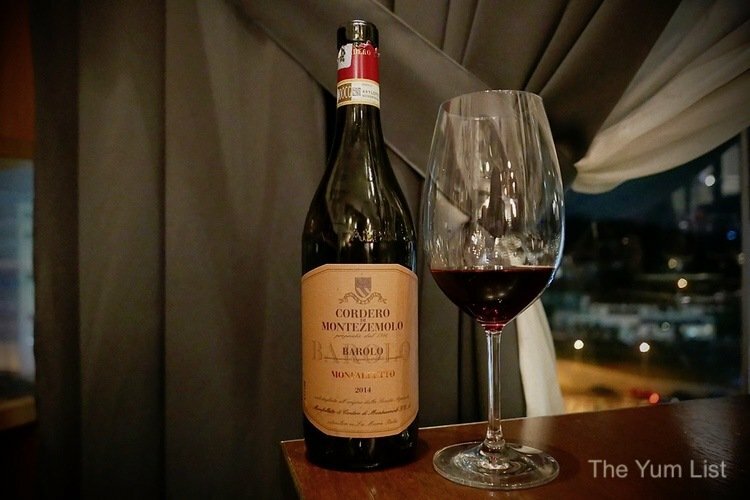 Cordero di Montezemolo’s 2014 Monfalletto Barolo DOCG from Piedmont is poured next. Made from Nebbiolo grape vines aged between 15 and 50 years, the result smells, tastes and feels like an aged-vine wine. Production is also a lengthy process, and Cordero take their time with maceration and fermentation before 18 to 24 months of barrel ageing. The finished product is thoroughly elegant. Peppery and bold with rounded fruits and strong tannins, there are notes of tobacco, dark chocolate, raspberries and cherries. No Italian meal would be complete without a pasta course, and Chefs Renzo, Darius and Damiano have prepared fresh ravioli dumplings filled with a buttery, creamy saffron sauce that bursts, oozing out onto the plate when cut into. 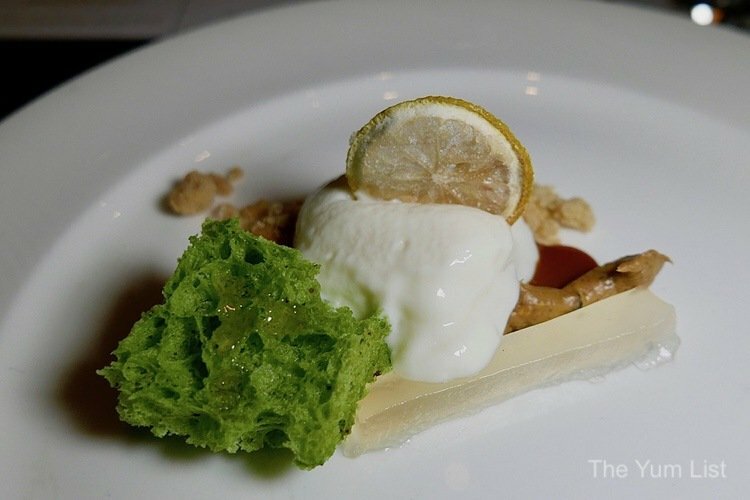 Four portions are splayed around a central mound of sweetbreads (which is, to clarify, not sweet, and not bread). A meat dish I would not normally select, these heart-shaped mouthfuls are from the pancreas, but don’t let that put you off. They are mild and tender, with a consistency similar to a scallop. 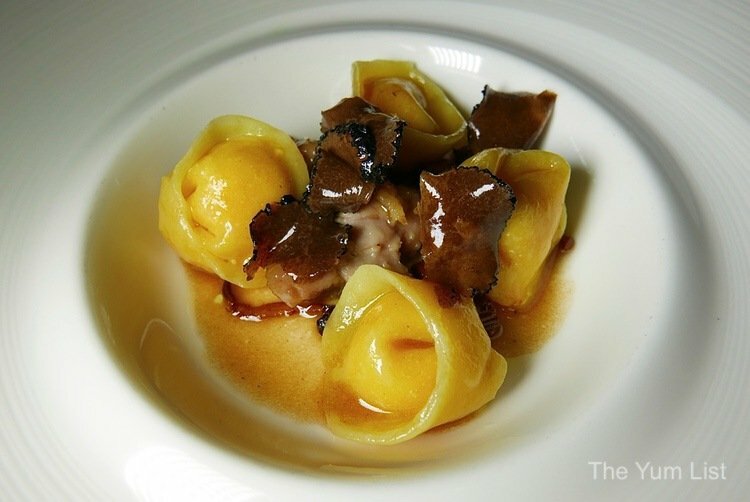 Chanterelle mushrooms are splayed on top like the petals of a flower, and the plate is drizzled with a black truffle oil. 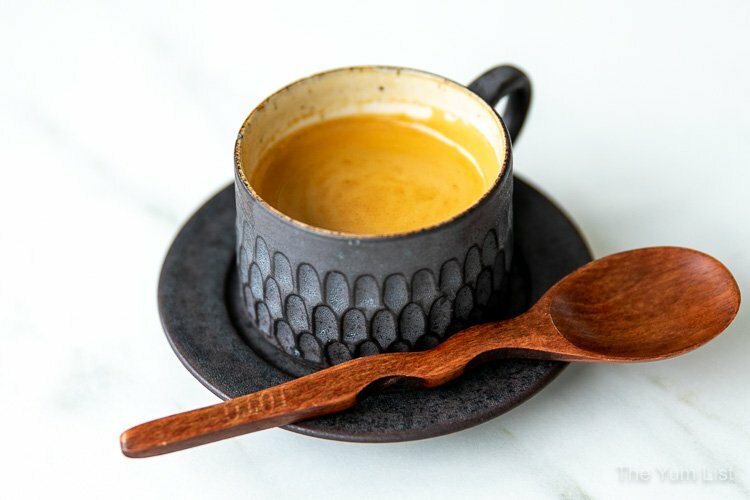 The result is decadent and luxurious. Moving onto our final main course, it is time for something a little bolder to drink. The 2011 Cafaggio Chianti Classico Riserva DOCG from Tuscany is a full-bodied, robust Sangiovese. 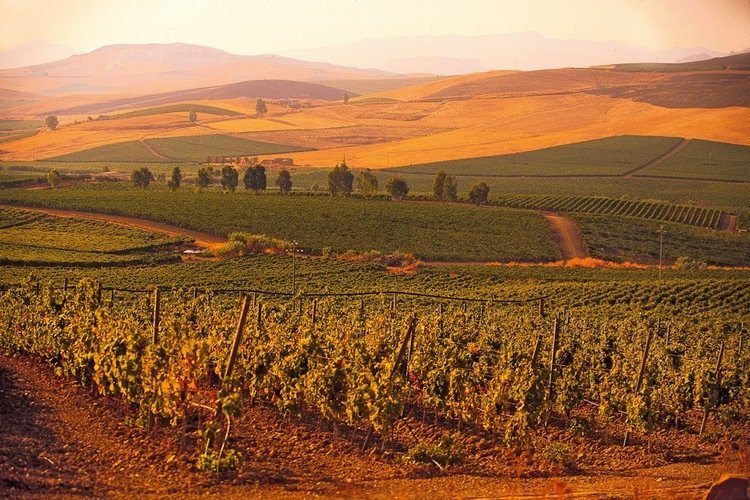 The region is well known for this varietal, with a history of viticulture dating back to the 15th Century. Organically cultivated in mineral-rich soils, it represents the quality you can expect from the highly awarded Cafaggio Estate. Raspberries and over-ripe cherries give a dark fruit palate, layered with sweeter tannins and more mature scents of leather and forest woods. It is utterly complex; strong, yet refined. 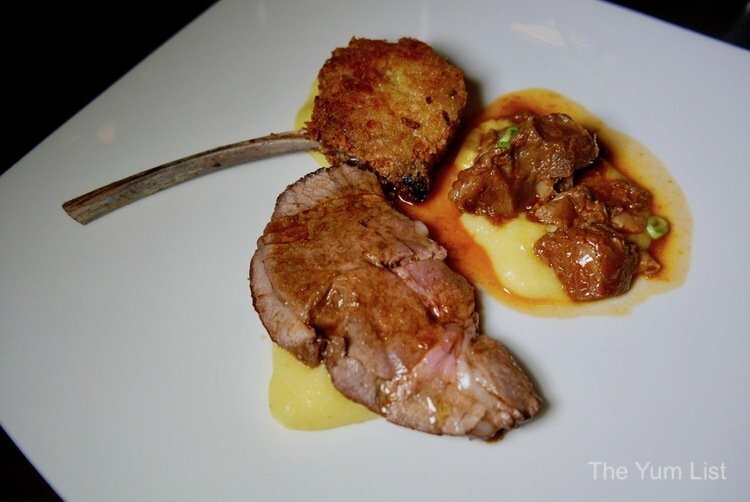 A feast of rich and tender lamb, the main course – Lamb in three versions, is a song of texture and technique designed to highlight the skills of Renzo and his team. Because one meat serving alone would not be enough to showcase Renzo’s skill with red meat. 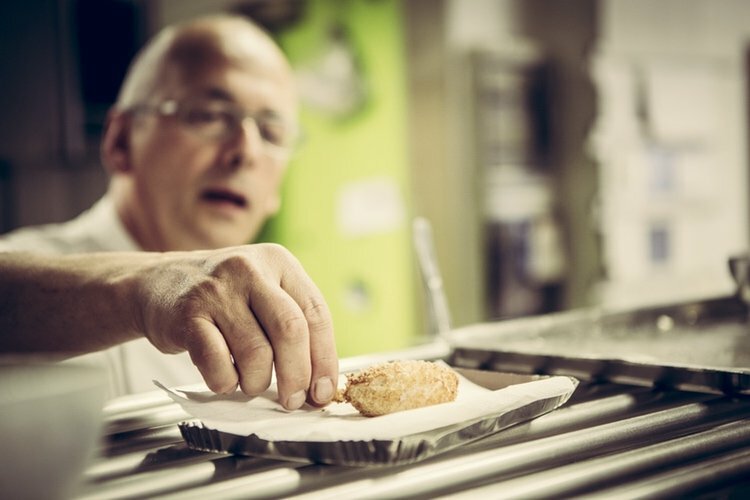 A breaded French cutlet traps the succulent bone-cooked flavour in a casing of rustic breadcrumbs. A slice of medium rare roasted lamb, replete with pockets of intense bone marrow, blushes pink and slices like butter. While a slow-cooked, fall-apart, hearty lamb casserole is wholesome and pure in flavour. The trio is drizzled with a light French style gravy and sits on a bed of silky smooth potato mash. Traditional and completely gratifying, it honours the confident Sangiovese. 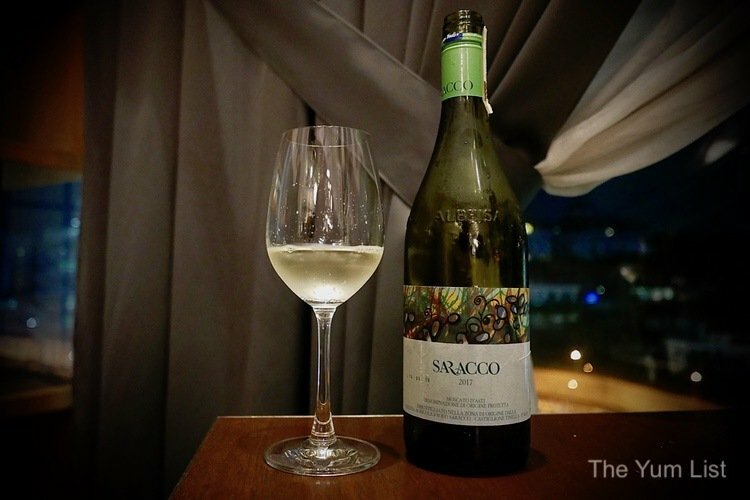 Vera takes the time to come and join us for a final glass: the 2017 Saracco Vino Bianco Moscato d’Asti from Piedmont’s alpine climate. I share my trepidation for I have never been a fan of the over-sweetened sparkling varietal. She gives me a knowing smile, before handing me a glass, “I know exactly what you mean,” she assures me before toasting, “Just trust me.” The nose is immediately startling. Floral blossoms and nectar, peach and a hint of summer herbs, this is more reminiscent of foamy afternoon cocktails. Blended from 15 different grapes, it is minerally, gently balancing acidity and honey with a dry crisp finish. It lingers with summer tropical fruits. Perhaps it is merely my familiarity with Southeast Asian flavours, but I taste lychee, snakefruit and pineapple. Vera tells me she has never been a fan of Moscato either, but can easily sit and drink a bottle of the 6% Saracco in a sitting, particularly when it reveals lime, sage and mint after ageing. Though we have barely room left for dessert, the final dish of the evening guarantees empty plates. An enticingly tart spoonful of cottage cheese ice cream is paired with a salty, nutty crumble, a pillar of lemon curd jelly, a finger of fudgey caramel biscuit, and a mouthful of airy pistachio sponge cake served on top of a thick, gooey smear of salted caramel sauce. The entire dish is a masterful symphony of savoury, sweet, sour and salt. Each component is an unexpected ally to the medley, assertive in flavour, and playful in texture. We take turns nibbling each aspect in between sips of the Moscato, trying to pin down the new layers of flavour reveals in the wine as they come and go. Sharing a meal with those we care about is not a new idea. But the concept of changing our mindset to re-evaluate what we value and prioritise is a lesson worth learning over and over. Taking pleasure in the small moments, in the sharing of a good meal and a decent bottle of wine is as good a raison d’etre as any. And if it comes from supporting small production craftsmanship winemakers and chefs who have honed their talents and perfected their skills over generations, well, this is an idea that is just good business. As Vera so aptly states, “Food unites the world, so we are here to enjoy it together.”. 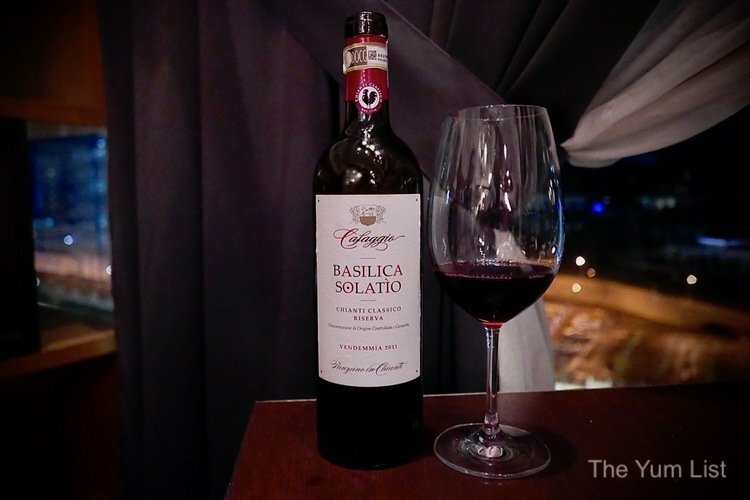 Highlights from the Ethica Wines dinner with Michelin-star chef Renzo dal Farra at Graze Hilton Kuala Lumpur: While all of Ethica Wines and Chef Renzo’s menu deserves your attention, the more astonishing and spectacular drops and dishes include: (Wines) The 2017 Cusamano Insolia, the 2014 Cordero di Montezemolo Monfalletto Barolo DOCG, the 2011 Cafaggio Chianti Classico Riserva DOCG and the 2017 Saracco Vino Bianco Moscato d’Asti. (Food) The beetroot ice cream with smoked robiola and toasted sesame, the saffron dumplings with sweetbreads, chanterelle mushrooms and truffle, and the salty crumble with lemon, pistachio, caramel, cottage cheese and ice cream. A touch of class, at the Hilton, no less. I would love to try this restaurant. I like the Micheline type of experience, they tease out all the best flavours in food. The photos in your post are tickling my taste buds.